I came away from my annual fall Champagne tastings absolutely exhilarated by the quality of the wines. As it turns out, I reviewed most of the new releases from the grandes marques in our Summer Preview, so this article focuses heavily on grower Champagnes. That is merely a coincidence, or maybe in the end, it isn’t. As I scan through the domaines covered in this article I can’t help but pause to think about how much Champagne has changed in just the last decade or so. I was fortunate to be exposed to Champagne at an early age, and to have the opportunity to drink a wide range of wines as a consumer. A deep passion and interest in the region led me to start reviewing the wines professionally around 2007/2008. At the time, the Champagne scene was dominated by the big houses. It still is in many ways. More on that in a second. Grower Champagne meant Selosse and Egly-Ouriet first and foremost, and then everyone else. Selosse was just re-entering the US market after a long absence, as hard as that may seem to believe today. Sure, Vilmart, Pierre Péters and other small domaines were making gorgeous wines, but they weren’t recognized as the blue chips they are today, and they certainly weren’t selling their wines out immediately or working with strict allocations. Dominique Moreau, Cédric Bouchard, Olivier Collin, Fred Savart, Jérôme Prévost and so many others were just getting started. Since then, Cédric Moussé, Aurélien Laherte and Aurélien Suenen are among the newest generation of vignerons to guide their family’s estates into the upper echelon. The pace of change is dizzying, and also incredibly thrilling to watch as it unfolds. The grandes marques still dominate much of the public consciousness in Champagne. And that is fine, as the best of these wines have, frankly, never been better. But grandes marques have also felt the energy of young, up and coming growers who have everything to prove and whose Champagnes command an increasing amount of real estate on wine lists around the world. The proliferation of single parcel Champagnes, late-disgorgement releases and ultra tête de cuvées at the grandes marques is a clear response to competitive pressure and the desire to always stay ahead. 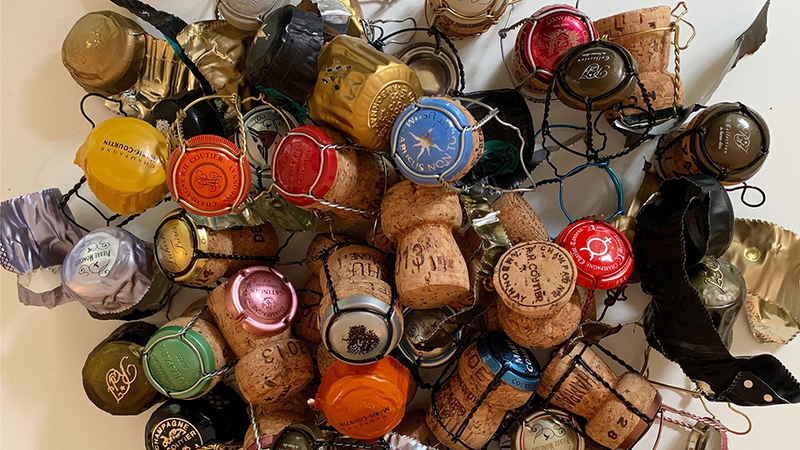 In my Summer Preview I lamented the growing Burgundization of Champagne, and while that is a very real phenomenon, it is somewhat tempered by the increase in new and/or re-emerging domaines making great wines that merit your attention. Diversity is a beautiful thing, and Champagne has never been more diverse than it is today. Many of the NV Champagnes in this article are based on the 2015 vintage, which was a warm, dry year, as it was throughout Europe. In tasting, a number of 2015-base NV Champagnes show a distinct green/savory character that is unusual for wines from a ripe vintage. Before panic sets in, let me reassure readers that the green notes in many 2015s are a far cry from what we saw in 2011. I first ran across green flavors in the 2015s on a widespread level this past Spring. I certainly did not notice them in the vins clairs, although, admittedly, those samples always represent just a fraction of any estate's production. At first, I hoped that green notes were a sort of post-disgorgement tightness, but they aren’t. The reality is that many 2015-base NV Champagnes exhibit a distinct green character that ranges from subtle (and not unpleasant) grassy/savory flavors to stronger and more obviously vegetal notes. In 2011, many wines were both savory and also harsh texturally, with only limited depth of fruit. Thankfully, I saw that only once or twice with the 2015-base Champagnes. Of course, the real question is how will these green/grassy flavors develop over time? Will they become more pronounced, or will they soften? No one can say for sure. To be frank, I am more concerned with wines that don’t presently show grassy flavors. In the wines that do, it is obvious, and we can talk about it, but in wines that don’t, there is simply no way to know if that savory element will emerge later. Readers should try to taste as many as these wines as possible and form their own opinions. I would be remiss, however, in not pointing out something that is present in many 2015-base NV Champagnes. With that caveat on the 2015s out of the way, this article includes wines from several growers who are new to Vinous, as well as many that are already known to our readers. Keeping up with the pace of change in Champagne is increasingly challenging, as each year there are more and more producers making wines of true distinction and personality. Because of that, there is little doubt that Champagne is one of the most vibrant and exciting regions in the world today.